John Burns, famous for his work with Genesis, Jethro Tull and Burning Spear, started as tea-boy and tape operator at Morgan Studios in 1965. At this time Morgan Studios were doing all of the recordings for Island Records (founded by Chris Blackwell in 1959 and named in tribute to Alec Waugh's 1956 novel, Island in the Sun), who didn't have their own studio. In his education on-the-job, Johnnie took his cue from engineers like Andy Johns (brother of Glyn Johns), whose approach to engineering was to enable the artists to realise their musical vision without technical details hampering the creative process. As a result he soon achieved a reputation for being a 'musicians' engineer'. 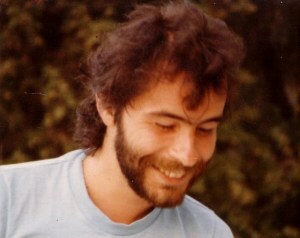 Some of the artists Johnny worked with during this period include Humble Pie, Jethro Tull, Spooky Tooth, Blodwyn Pig, Ten Years After, Quintessence, David Bowie, King Crimson, Donovan and he even did a rough pre-mix of The Rolling Stones' Hyde Park Concert, which was later, as Johnnie puts it 'mixed properly'. Working on the first few Jethro Tull albums straddled this formative period in Johnnie's career. The albums This Was (as tea-boy), Stand Up and Benefit (as assistant engineer), which were all done very close together. 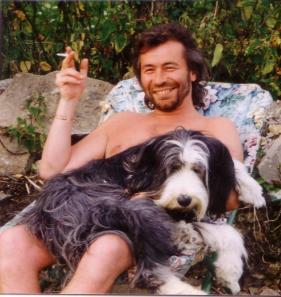 Following these releases, in 1970, Tull offered Johnnie the chance to go on tour with them, and Johnnie welcomed the chance to branch out in the world of Rock and Roll, and accepted the offer heartily. 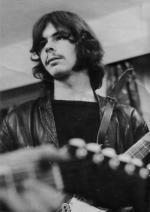 So during 1970, a great period for live music, and festivals particularly, Johnnie helped out with many acts including Jimi Hendrix, The Who, Johnnie Winter, and at the Isle of Wight Festival when Procul Harum, The Doors and Miles Davis also played on the same bill as many of the acts that had played at Woodstock in 1969. After extensive touring in the the US and on the European continent, Jethro Tull returned to the UK and they recorded the Aqualung album, with Johnnie engineering. 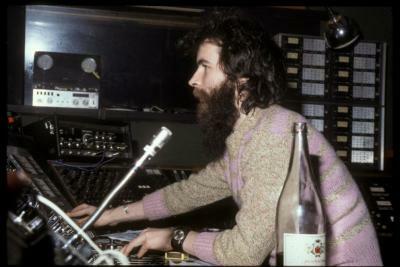 During a period as freelance Engineer with Island, Johnnie would often get a call to stand in for another engineer to work on sessions with acts including Traffic, Mott the Hoople, Fairport Convention, Curved Air, Deep Purple, Marc Bolan and T.Rex, Jeff Beck, and John Martyn for the sessions that became the classic Solid Air album. 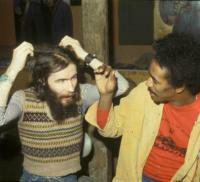 Credits recorded in this period include Alexis Corner, Jimmy Cliff and Toots and the Maytal. 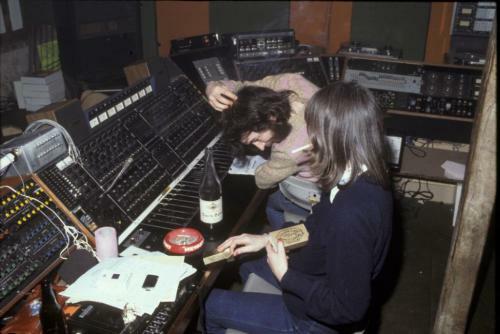 Meanwhile in 1972, Progressive Rock luminaries, Genesis, were experiencing some trouble in finding a suitably skilled engineer whilst working on their Foxtrot album. Two successive engineers had been brought in, and both found they couldn't cope and had thrown in the towel. Finally the name of an up-and-coming engineer called John Burns was mooted. After wading in with razor-blades at the ready (for tape-splicing) and often commandeering the talk-back mic, Johnnie made a such a great impression on the band that they asked him to produce the following album, Selling England by the Pound. So began their co-production relationship, which was to last for a total of three albums, including Genesis Live and the band's magnum opus, The Lamb lies down on Broadway. Amid the sweltering heat, ants crawling out of the mixing-desk and strong local smoke, Johnnie went off to work at Ginger Baker's studio with the late Fela Ransome-Kuti in Nigeria in 1974. He remembers recording jam sessions where signs would be held up marking each minute up to the maximum of 17 minutes (because that was all that could fit on one side of a Long-Playing record), the musicians would look up and when the 17 minute was very nearly over, they'd all stop together as one, right on cue. These recordings would involve no splice editing, just the raw energy of the improvisations, and that would be the track – multi-tracked and with a sound totally new to Johnnie's 'gob-smacked' western ears. Some of the guitars would have broken strings repaired with a knot halfway down the neck, so that that string could only be played from that point or higher, but the total sound and impact of the music remained unaffected. - Paul Simonon, bassist from The Clash. In 1975 Johnnie mixed a dub version of Burning Spear's Garvey's Ghost, the band paying him tribute by naming a song after him, John Burns Skank, a dub version of Live Good as a mark of their thanks and respect. 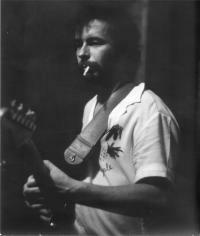 During a brief period as owner of Escape Studios in the late 70's, Johnnie recorded with artists including Eric Clapton and Ginger Baker – with bassist John Porter (Roxy Music), Motorhead, and also Gus Isidore- more recently acclaimed for his guitar work with Seal’s 2nd album. Photographer Nigel Gray visited Escape at this time. It was just another day in the studio, and Johnnie can be seen here in his natural environment, sporting a '70's beard and tight pull-over, his production style suggesting a young precursor to the affectionate madman we know and love today. When 80's trends seemed to take the heart and soul out of engineering for Johnnie, he found studio work less attractive and became something of a recluse from the point of view of the industry. However, digital technology in the 21st Century has progressed to the point where the creative spirit comes first once again. Johnnie's latest projects have therefore seen a return to what he loves best, which is working with people, not machines, with the aim simply to make good music. 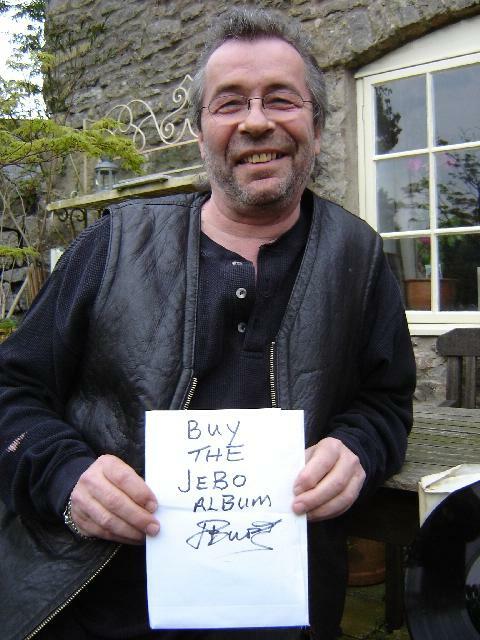 Nurtured from its origins as the bedroom studio brainchild of two experienced and gifted gigging rock musicians, JEBO has grown to a 5-piece and a powerful live act, now with two astonishing albums, both produced by John, mixed by Ben Findlay from Peter Gabriel's Real World Studios, and mastered at Loud! by an old friend of Johnnie's from Trident Studios, John Dent. The new album 'Settle Up Or Settle Down' is now available from the JEBO website.